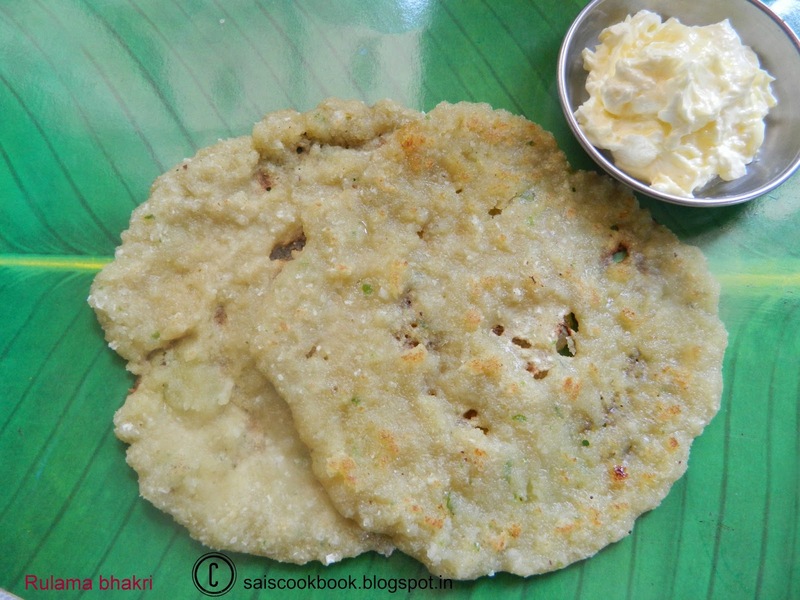 Rulama bhakri is a popular breakfast of the GSB’s.It is also known as Sajjige rotti and is a famous Mangalorean dish too.There are few variations in the recipe.At times I add grated cucumber or chopped onion.This is one of my favourite dosa.This is a thick dosa which can be relished with the home made butter.I like to eat just like that. Pulse grated coconut and green chilly for few seconds until the green chilly gets minced in a mixer. 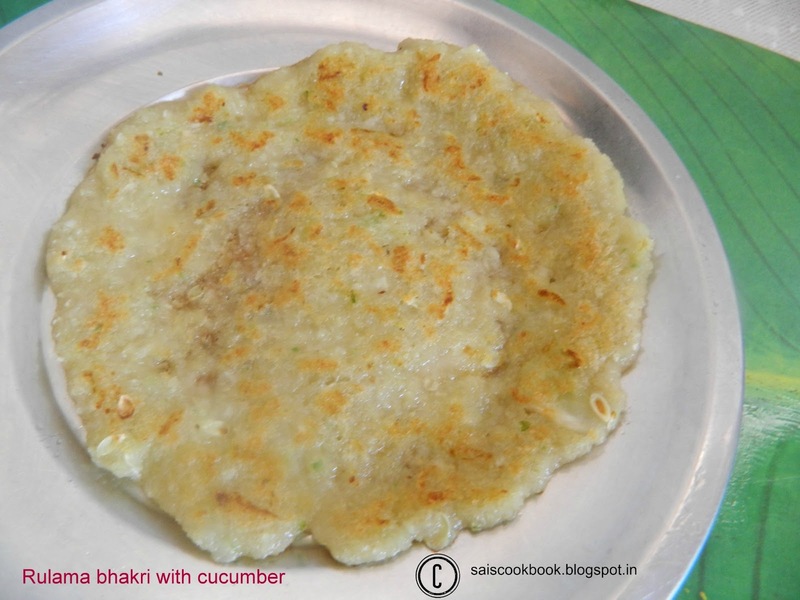 Take a bowl,add rawa,coconut mixture,jaggery,salt to taste and water and make a thick batter. Add grated cucumber at this stage if you want and mix it. Heat a griddle,spread a ladle of batter carefully,smear a tsp of ghee over the dosa and close the lid. (simmer the flame). 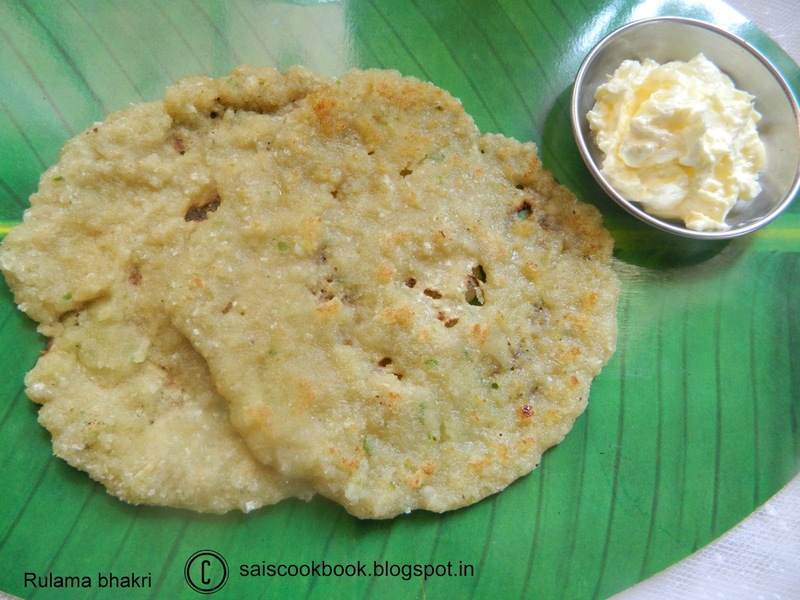 After a minute or two open the lid and roast the dosa on the opposite side until brown spots appears. Serve it hot with home made butter.